View More In Cookware Accessories - Page 5. 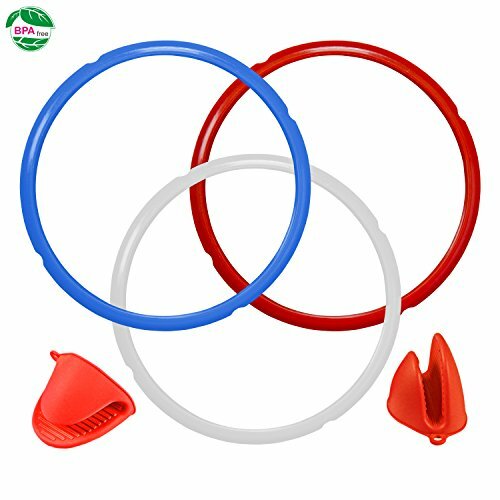 Pressure Cooker Sealing Rings are a necessary component to pressure cooking process.To Make sure you never mix up your seals again,we prepared this sealing ring set for you.three different color you can choose for sweet food ,savory food or common use.Different color can make you easily distinguish different use and Preventing the odors from transferring among your favorite foods. 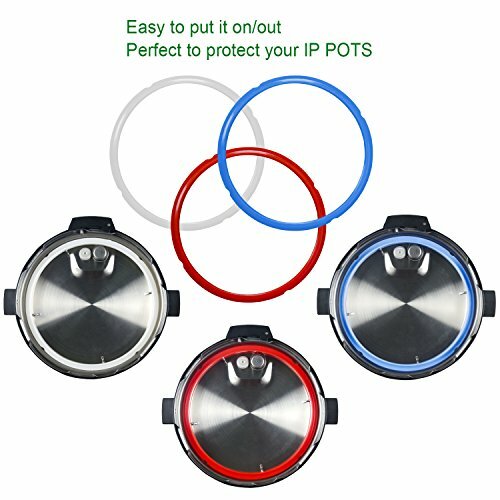 Perfect Replacing Silicone Sealing Ring for the 5 Quart and 6 Quart, Fit for Model: IP-DUO60, IP-DUO50, Smart-60, IP-LUX60, IP-LUX50, IP-CSG60 IP-CSG50. Not recommended for use with other pressure cooker brands. -Manual measurement, the size may has 1cm deviation. -If you are cleaning it using a dishwasher, wash it on the top rack. 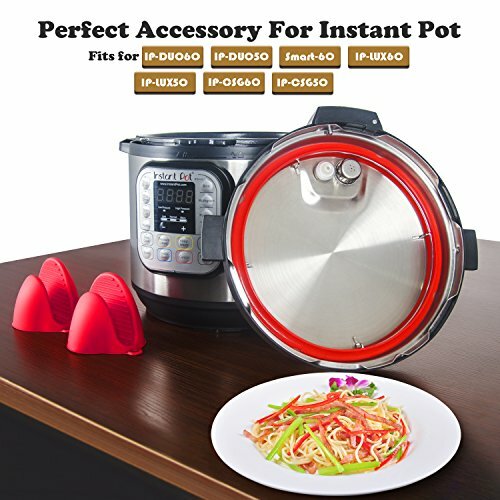 -To eliminate all the spices that are stuck on the ring, simply wash with soap water after each use of the instant pot. 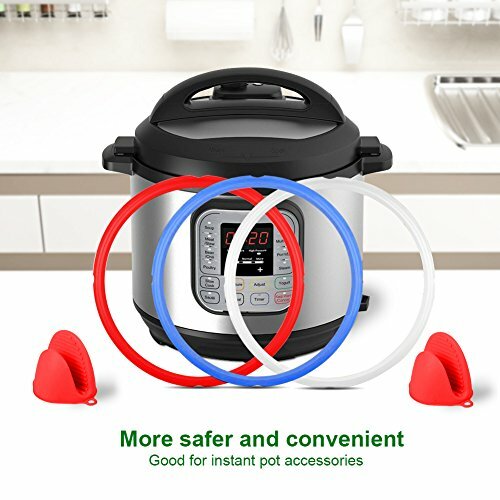 -silicone material may have smell when opening the package, we suggest you can open the package for a few days or boil it for 1-2 minutes, the smell will disappear. 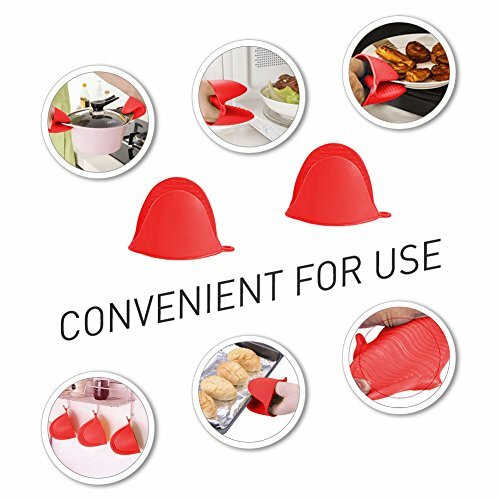 Eco-Friendly MATERIAL: Replacing Sealing Ring Made from 100% Safe Food-Grade Silicone durable,BPA-FREE and dishwasher safe. SEALING LASTING DESIGN: Small gap seal lasting and keep tight, two lines seep the ring on the IP lid strongly. More safer and convenient. 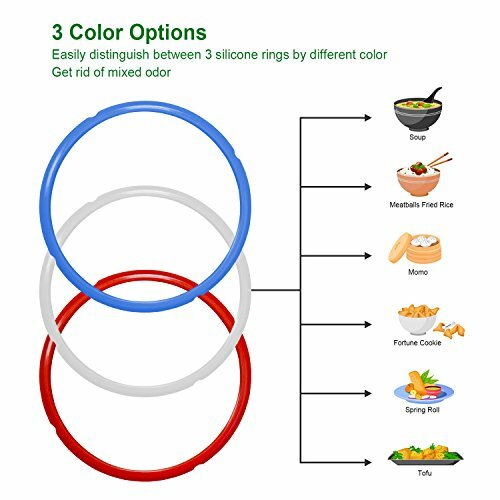 PACK of 3 COLOR: Contains 3 silicone Sealing Ring and 1 pair Silicone Oven Mitts ,Easily distinguish between 3 silicone rings by different color and get rid of mixed odor! 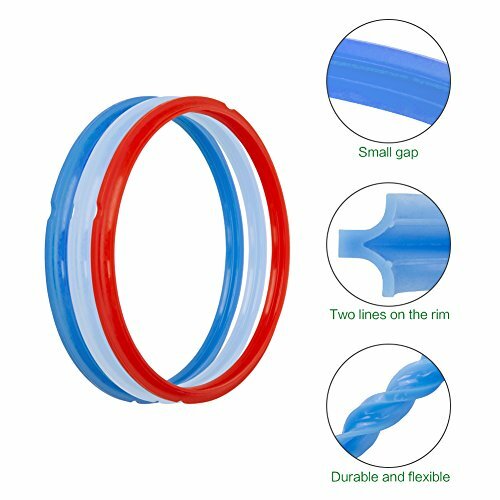 RISK FREE BUY : Silicone Sealing Ring 100% Money Back guarantee,any problem in the use,please feel free to contact us for replacement or refund. If you have any questions about this product by Homelink, contact us by completing and submitting the form below. If you are looking for a specif part number, please include it with your message.